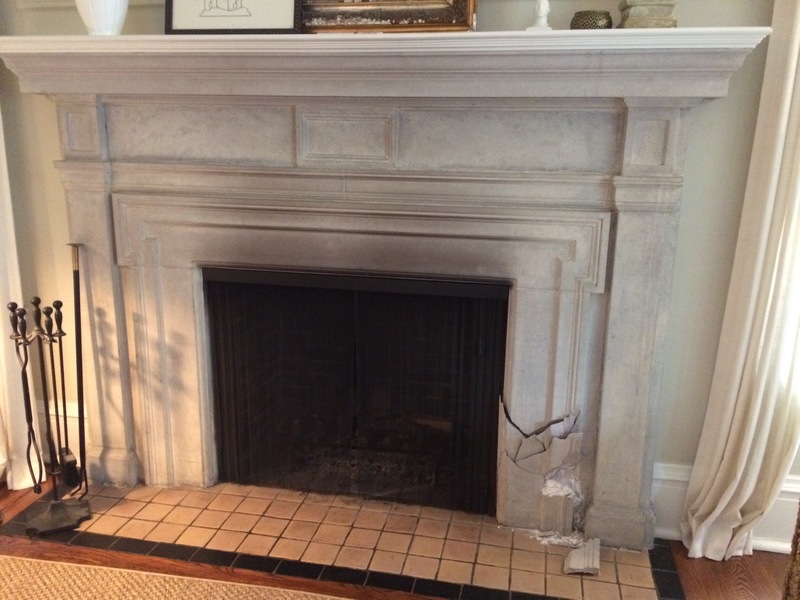 The damage to the fireplace in the house was too catastrophic to repair, that was why Marion Restoration was hired to replace spalled unit of the stone surround. We have carefully cut joints around the damaged vertical stone unit and removed the broken pieces. We then installed a new limestone unit matching the color, type, and carved design of original piece.